My name is Jorena Bien-Aime, but I go by Rena or Re’. I am originally from south Florida, I was born in West Palm beach and raised in Boynton Beach. I was raised by mother who taught me to be independent, strong, and that I can have any dream I want no matter how impossible it may seem, she also taught me to fight for my dreams and stand up for my faith-what I believe in. I have two sisters names Jobina and Joshana (my mother wanted to pay homage to our father “Joseph”…three times I guess) were all exactly one year, one month and one day apart. Growing up and still to this day I was- and still am- a tomboy. I’ve love sports and being challenged and the energy and rush of sports. I’ve done gymnastics, track, flag football, Soccer, cheerleading and marital arts. I love meeting new people its honestly a hobby of mine, meet a new person everywhere I go, at least one. Growing up learning about different cultures and customs reminds me that everyone is different and that differences are what make the world such a beautiful and exciting unique place. Growing up I also remember knowing even as an eight-year-old that I wanted to be a doctor, my sister was very sick when we were younger, so I grew up caring for her and that love carried over into me wanting to help to better the lives of all children. I remember deciding that I wanted to be a pediatric surgeon when I was in fourth or fifth grade and now I’m 20 years old and still striving and working towards that goal. Until about 2 years ago I didn’t actually have a plan for my future that I was actively engaged in. I just knew I wanted to become a pediatric surgeon, I didn’t have a plan for how to reach my goals, as a result I did “alright” in both high school and my first year of college. Then one day my family was driving up to Tallahassee and we stopped by a chick-fil-a in Gainesville and all I saw was University of Florida paraphernalia everywhere, in that moment I decided that I was going to go to UF and truly pursue my dream of being a doctor. So, I set my mind and body to my purpose and I set my faith in Jesus and worked really hard and after taking 6 classes during fall 7 during spring and 4 during the summer (including Calculus without the trig and precalc prerequisites) I am now a student attending The University of Florida. 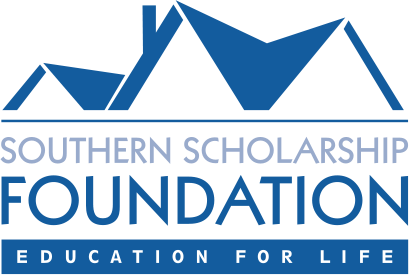 I didn’t know about SSF and I found out about this amazing scholarship through my younger sister who had applied for the Southern Scholarship Foundation scholarship when it was her turn to go off to college. While dropping her off I got to experience first hand the kind of encouraging, welcoming atmosphere that SSF provides for student, and that not only eased my concerns for my sister is made me realize that if I were to be affiliated with any housing scholarship I wanted it to be the SSF scholarship. And thankfully I am apart of the Southern Scholarship Foundation Family.